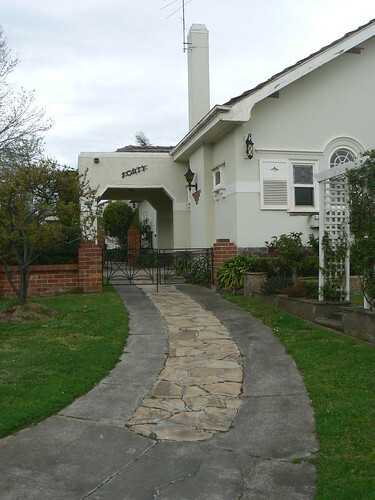 Nedlands Park Masonic Hall served as the meeting place for the Freemanson's University Lodge from 1935 to 2002. 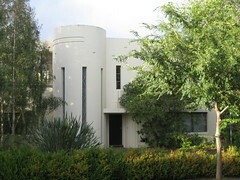 It was designed by Western Australian architect William G Bennett. The building incorporates two shops on the ground floor that could be leased out to raise revenue for the lodge and a public hall which could also be made available for community use. 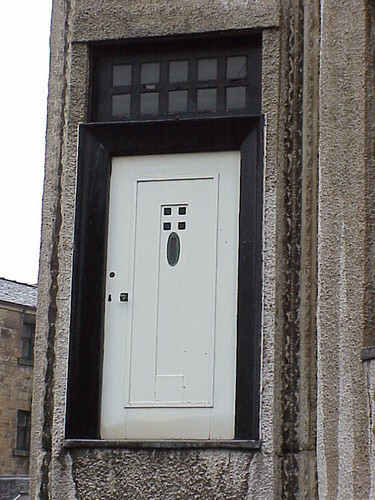 This strange sight is the exterior of the Mackintosh House at the Hunterian Art Gallery at the University of Glasgow. Charles Rennie Mackintosh and Margaret Macdonald Mackintosh lived in a Glasgow end-terrace house from 1906 - 1914 making substantial altertions to the building incorporating their distinctive style into the interior spaces. The house was bought by the University of Glasgow who many years later when area was redeveloped, salvaged many elements and recreated many of the interior spaces at the Hunterian Art Gallery (only 100 metres from the site of the original house). So we now have this unusual sight of CRM's front door suspended many metres above street level. 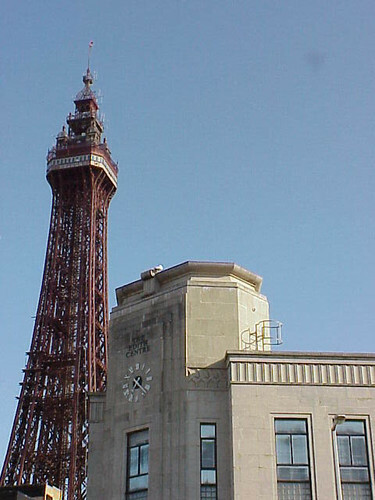 There are no prizes for guessing that this building, The Edith Centre, is in Blackpool. The tower is a bit of a giveaway. 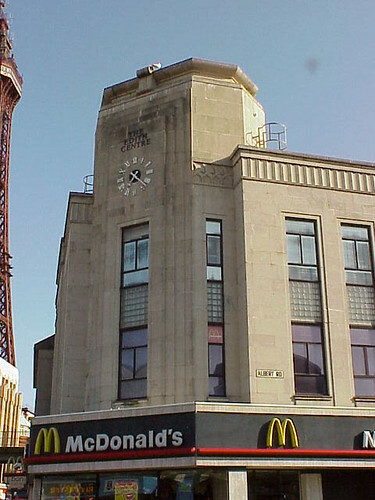 And I suppose that no-one will be surprised to learn that the Edith Centre now houses a modern chain. A fast food chain at that, McDonald's no less. 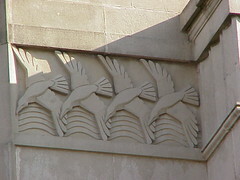 But high on the building, either side of the clock there are these wonderful series of stone seagulls. 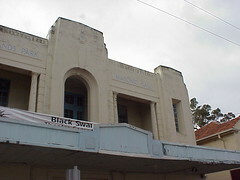 The Glenelg Wallis Cinema closed on Sunday 1st February 2009 with a free showing of Gone with the Wind. 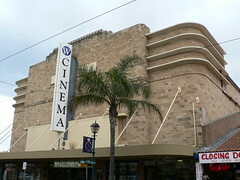 The 1937 cinema was designed by Kenneth Milne and in 1971, then called the Ozone, it was purchased by the Wallis family. Patronage had dropped off since a 30-screen megaplex had been opened at nearby Marion in 1996 eventually making it no longer viable to operate. 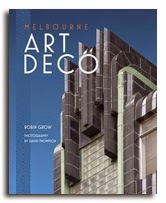 A blog post by the Adelaide Chapter of the Art Deco Society around the time the cinema closed indicates it would be incoporated as retail space in a re-developed shopping centre. This is one of the smallest rooms in the French Embassy in Ottawa but still very beautiful. 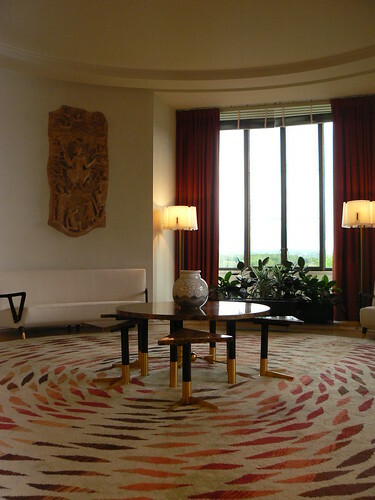 It is called the Round Salon or the Small Dining-Room. I love the furniture. The white chairs and couch with black arms and legs. 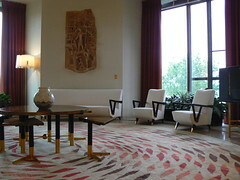 The center table with triangle shaped seats and the large circular rug covering most of the available floor space. Elizabeth Bay and Potts Point are wonderful areas of Sydney to just wonder around taking in the architecture. 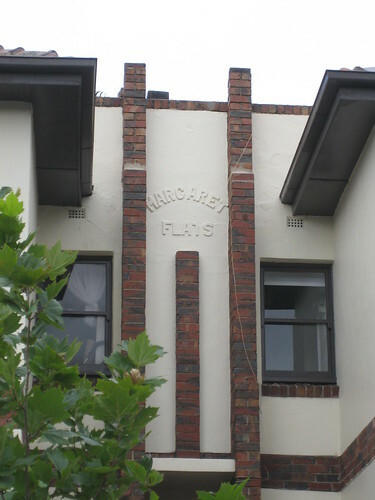 This apartment building in Greenknowe Avenue, Elizabeth Bay is called Tara. 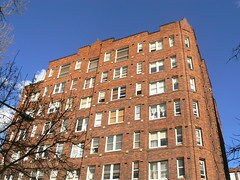 It is another Sydney building from the 1930s that uses bricks to apply much of the decoration. While not as elaborate as Wychbury the decorative brickwork on Tara, when seen when seen in close-up, is very spectacular. 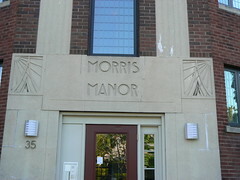 I don't know anything about this apartment block in Buffalo, NY other than I always want to say Morris Minor rather than Morris Manor but that's because that's because the car my mum ever had was a Morris Minor. I can remember trips to our caravan on the coast with her and my brother when dad had to work on weekends. 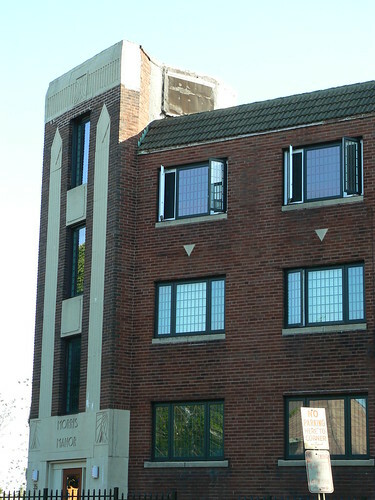 But back in Buffalo, Morris Manor, is a relatively ordinary red brick apartment block except for the decoration around the door that reaches to the top of the tower above the main entrance. 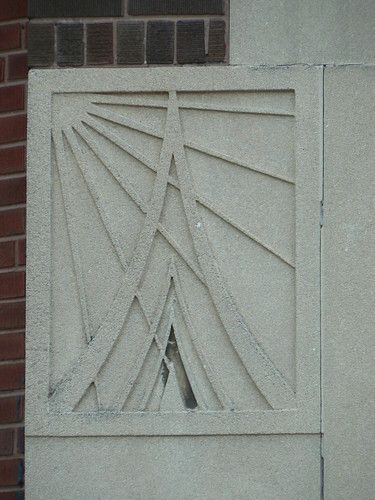 Centered above the door the name is etched out in suitably stylish lettering while on each side there are panel bearing geometric patterns probably representing a sunburst. 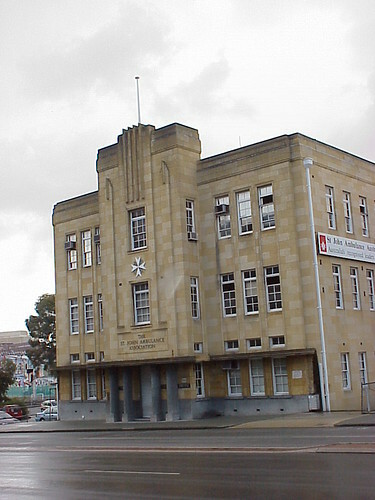 This is the St John Ambulance Association Building, as it was when I photographed it, at 300 Wellington St, Perth. 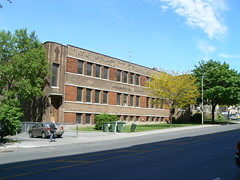 It was built in 1940 for the Association as a transport depot and administrative headquarters. 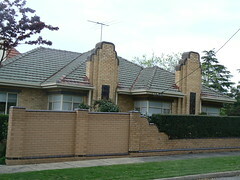 This is another house on the Golf Links Estate in the Melbourne suburb of Camberwell. 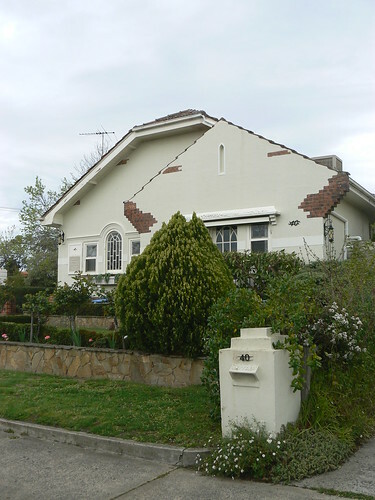 The house has interesting highlights in red brick against the mainly white building. 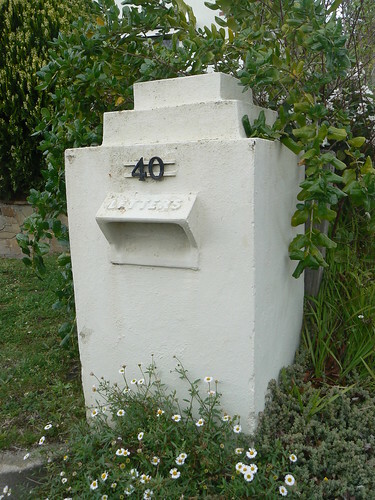 The garden is arranged on several tiers with 'crazy paving' retaning walls and the letterbox looks like it could be at home in any English country lane. 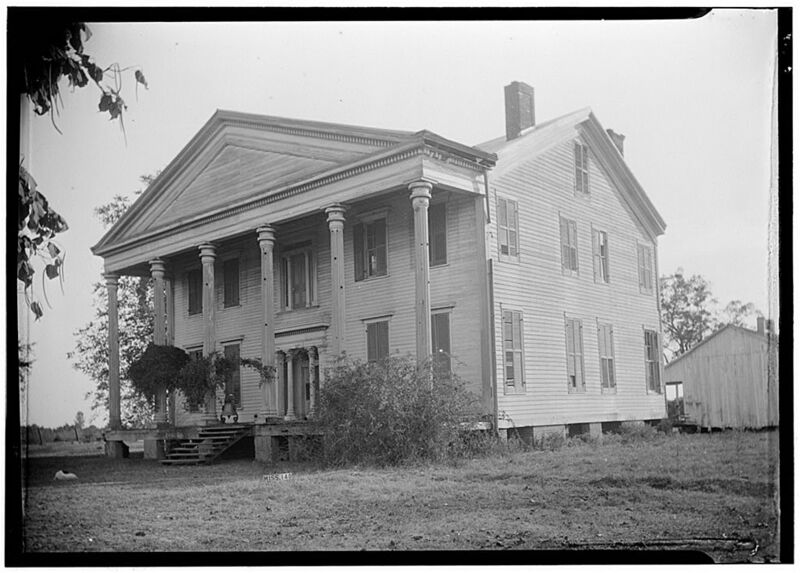 The view along the side of the house reveals the original concrete driveway leading to the portico. The driveway have originally had grass between the two concrete tracks but has been infilled with more 'crazy paving'. A peep at the back of the house revealed a lovely little garage but I couldn't see how they could get a car to it with some new gates behind the portico. Each time I've written a post about the houses on the Golf Links Estate in Camberwell it has received a fantastic reaction, so here's another one. This is Rosglen. 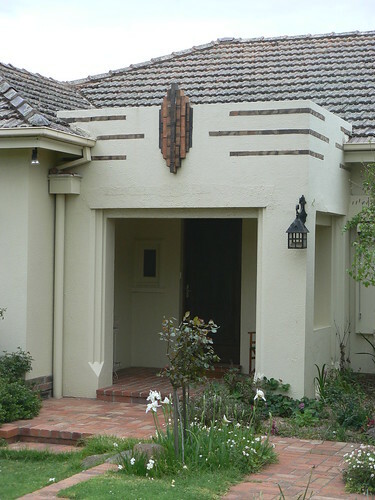 It has lovely detail in the cream brick wall and dark capping and highlights. Even the house number, forty-three, has been incorporated into the metalwork of the gate. For me through, the outstanding feature of this house are the chimneys. 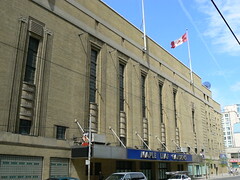 Maple Leaf Gardens designed by architects Ross & McDonald was constructed in 1931. 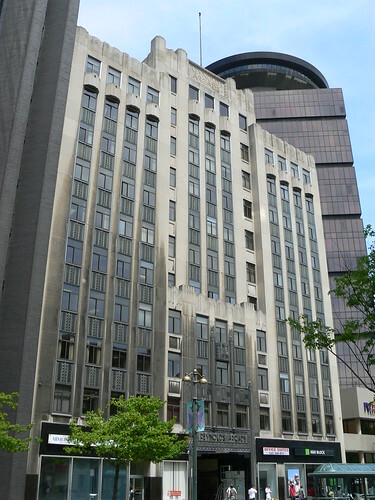 It served as the home of the Toronto Maple Leafs hockey team until 1999 when they moved to the Air Canada Centre. In recent years this historic stadium has remained vacant but current negotiations could see it re-open to the public complete with ice rink. 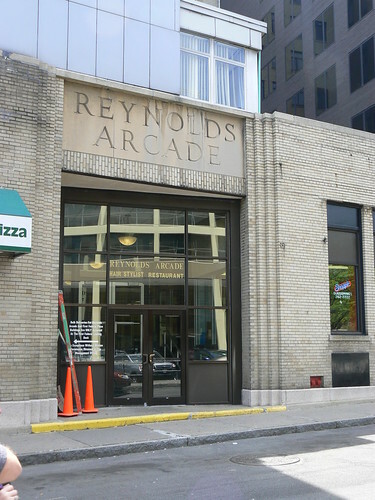 The original Reynolds Arcade in Main St, Rochester was built in 1828 and almost immediately became central to Rochester commerce including the original location for the Western Union Telegraph Company and Bausch & Lomb Optical. However, after more than 100 years of service the City considered the building a fire hazard and it was demolished in 1932. 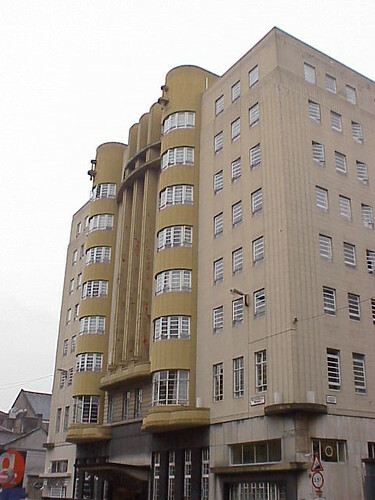 This Art Deco office building designed by architects Gordon & Kaelber replaced it. The Main St entrance has wonderful decoration as you would expect but the rear entrance has a certain deco charm to it also. I was taken by this small sign inside the arcade. It tells you everything you need to know without screaming 'look at me'! 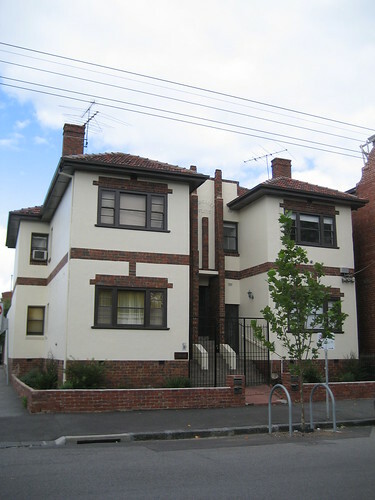 This fantastic Moderne house in Elwood St, Brighton was built in 1935 for Melbourne Solicitor Alfred Abrahams. 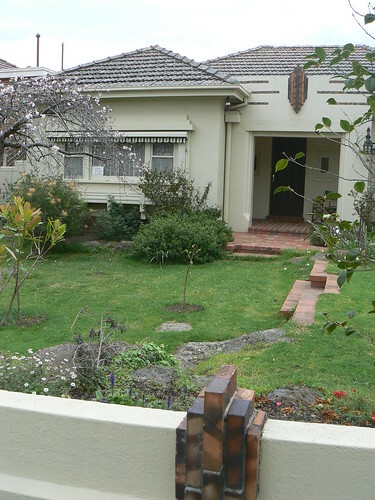 My photo shows the private part of the house, the rooms to the left of the circular stairwell are used as public areas and feature large windows facing onto the street and the rear of the property. 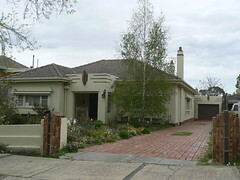 The house was used during the filming of Irresistible starring Susan Sarandon, Sam Neill, Emily Blunt and Bud Tingwell. 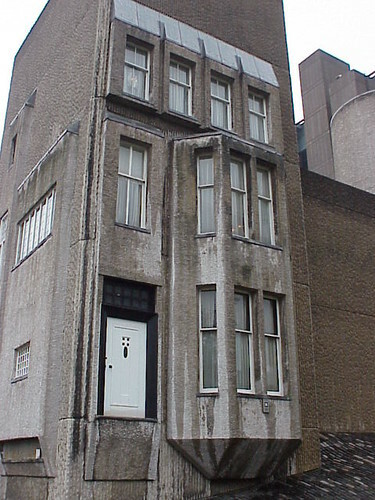 This is the former Beresford Hotel in Sauchiehall Street, Glasgow when it was known as Baird Hall of Residence for the University of Strathclyde. The original hotel was designed by architect William Bereford Inglis when it was built in 1938 he was also the owner and manager. In the 1960s it was taken over by the University for student accommodation after it had been used as an office block for some time. 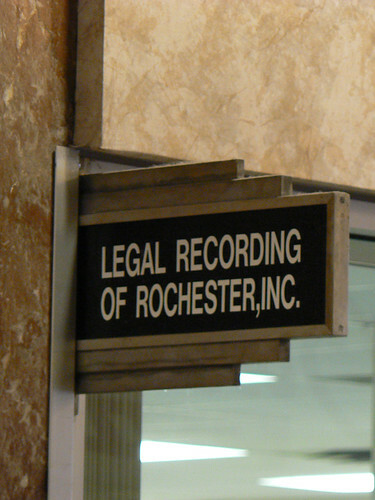 In a way the building had now come full circle. 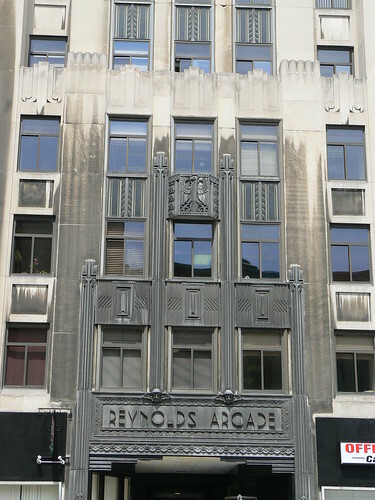 While it is not a hotel it has in recent years been converted into apartments and is known again as The Beresford. 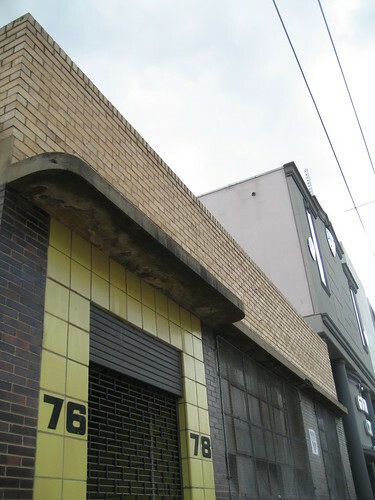 I found this small factory while out walking in South Melbourne yesterday. It looked a bit sad and vacant and I almost walked right on past until I noticed the rounded concrete porch above the door which continues as ledge above the frosted and guarded windows on the front of the building. 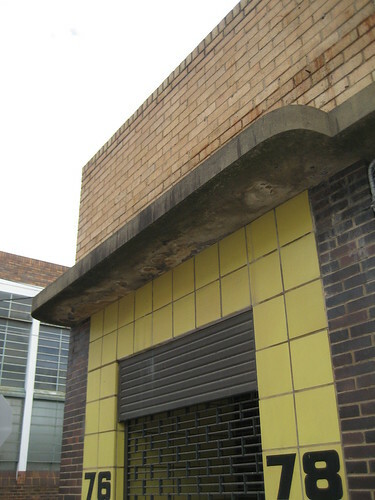 A closer inspection reveals that there are small dark bricks below the ledge at street level and cream bricks above the ledge stretching up to the roofline. The side and rear of the building has been completed in cream brick with the roofline at the back has simple asymetrical stepping. The bright yellow tiles around the entrance may even be original. 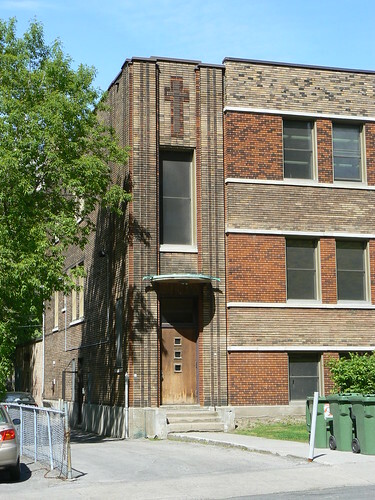 The Académie Saint-Germain in Montreal uses different colour bricks to create a pleasing facade. Red and brown coloured bricks are used to emphasis the vertical elements of the building while lighter neutral colours are used for the horizantal bands between the bank of windows. 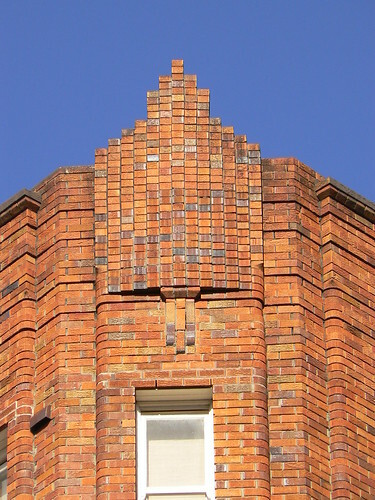 The various bricks are also used for the section above the side door especially at the roofline where the pattern of a cross has been created. 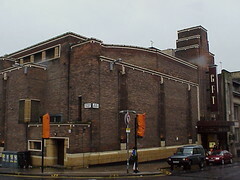 The Glasgow Film Theatre on a cold wet day. I like the way a single decorative elements is used to tie together the different areas of this house in the Golf Links Estate in Camberwell. In this view you can see the design used for the gate posts is repeated on the front of the house on the centre of the porch. It is also on the front of the garage at the end of the driveway. 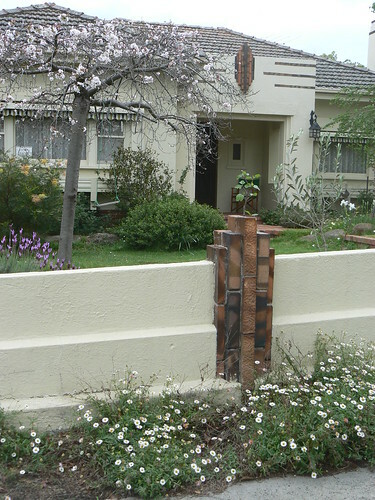 Below is a view showing the element is also used in the centre of the low front wall and the interesting feature of the Golf Links Estate where a flowerbed has been created on the outside of the wall. The split-level lawn area is also common in gardens of this period. 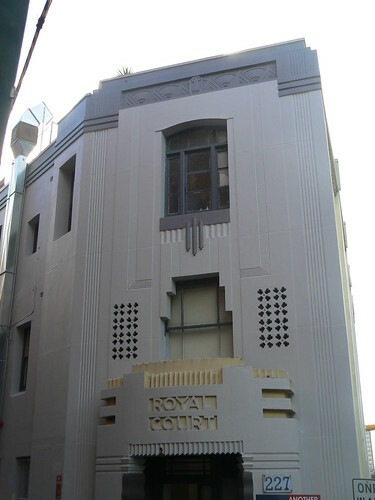 The Royal Court apartments are tucked away in Crown Street, Darlinghurst and through necessity it is an irregular shaped building curving with the bend in the street running alongside the block. 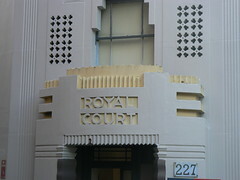 But in true Art Deco style Royal Court features a wonderful entrance and a stepped window above the doorway. 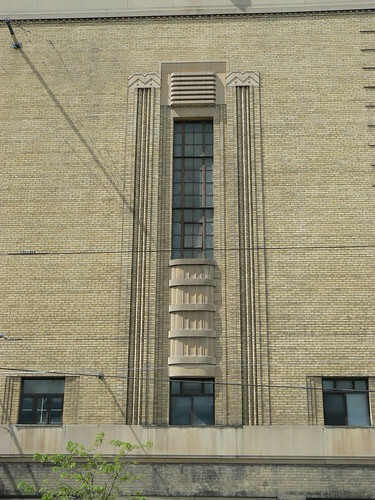 Above that is an older style window but a scalloped panel below the sill interesected with three vertical bars provides the deco elements. 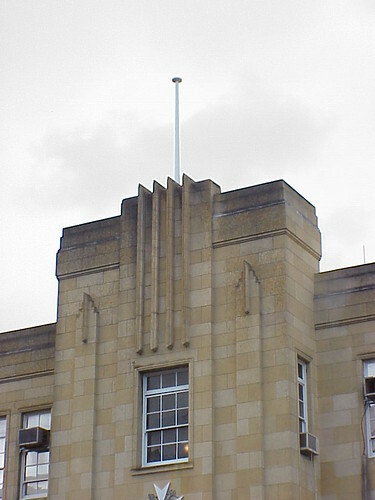 At the roofline, a series of chevrons and arcs tops the decoration. While exploring Hell's Kitchen in NYC, I saw the rooline of this building, over a wall, from about a block away so I had to investigate. 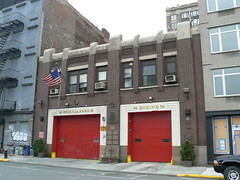 The building turned out to be a Firehouse, Engine 34 and Hook & Ladder 21. 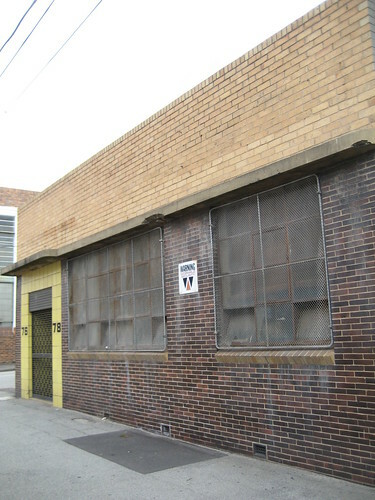 A brass plaque on the wall between the doors dates the building to 1937 and lists the men in cahrge of the city and the Fire Department at that time. 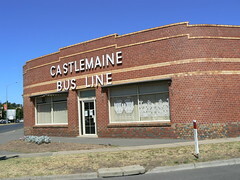 I love the brickwork on this simple bus depot in Castlemaine. 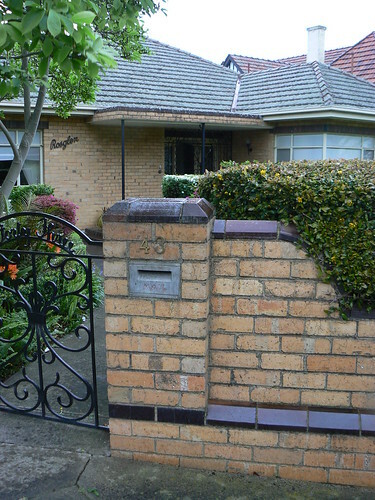 It is easy to go straight to the roofline, but if you look at ground level, you'll notice the bottom of the wall is made of vari-coloured bricks that are generally darker than the rest of the wall. Then directly above the windows there are two bands of lighter coloured bricks and finally there are two rows of raised bricks that are, again, lighter in colour campared to the rest of the wall. 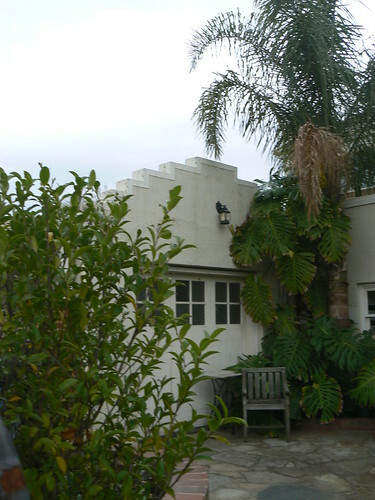 One sits at the top of the wall while the second, several courses below, mirrors the stepping of the roofline.